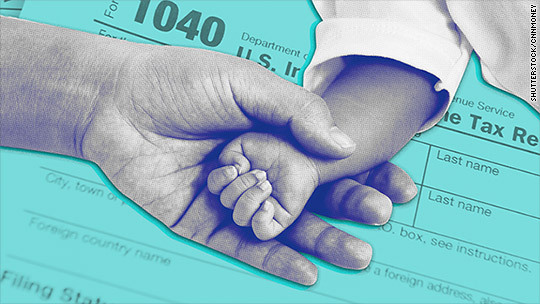 Children’s Insurance or Expanded Child Tax Credit? When you buy an engagement ring for your better half, you are purchasing something that she is never going to forget about for the rest of her life. It’s a ring that’s going to stay on her left hand ring finger for the duration of your marriage, so you have to get her something special or she is going to end up being really upset with you if you drop the ball on this purchase. Because of this line of thinking, some people are actually afraid to buy white sapphire engagement rings. They think they have to absolutely buy a diamond ring because it’s considered the only option by many. But they would be wrong since white sapphires are unique, durable, rare, and the more economical choice. At the end of the day, guys always have to factor in money when it comes to buying an engagement ring. If you are on a strict budget, you’ll be happy to know that you can buy a very large white sapphire as opposed to a tiny diamond and still end up spending less money. So your ring is going to look bigger, more attractive, and it’s going to cost less because you decided to go with a white sapphire as opposed to a diamond ring. With that said, there are a few other reasons why White Sapphire engagement rings are so popular. We’ll take a deeper look at those reasons right now. The great thing about owning a white sapphire engagement ring is you do not have to worry about accidentally damaging it if you’re prone to dropping things or stepping on them or otherwise bumping into things. Your ring is not going to experience any damage whatsoever because it’s a very strong gemstone that’s really tough to break. So, if you’re worried that you’re going to accidentally drop your white sapphire engagement ring on the floor, step on it, and watch the stone shatter into a billion pieces, you have nothing to fear because that will never happen. This strong gemstone is durable and can withstand just about any beating you might throw its way. So, those prone to destroying things are the perfect people to own white sapphire engagement rings since they are built to withstand the test of time and so much worse. As far as investments go, buying white sapphires is definitely the right choice as opposed to diamonds. Typically, you can buy a diamond engagement ring and it will lose value if you were to try to sell it on the open market. On the other hand, white sapphires are currently having the opposite effect. People are buying them and since it’s a rarer choice than a diamond, they are actually going up in value instead of losing their worth. So if you want your engagement ring to gain value, choosing a white Sapphire is the better option. Clearly, white sapphire engagement rings are very popular right now. Take advantage and get one for your better half today.